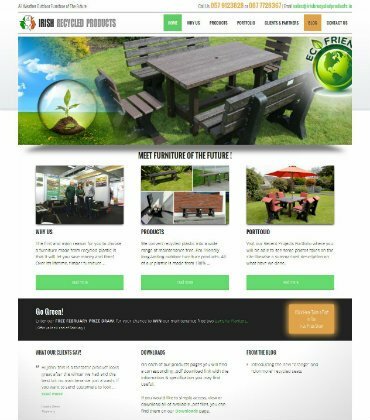 We were commissioned to deliver a new Website Design for Irish Recycled Products in Birr, Co Offaly. Irish Recycled Products design and manufacture maintenance free, eco friendly long-lasting outdoor furniture of the future. Their wide range of products include Picnic Tables, Seats and Benches, Planters and Litter Bins, Decking, Fencing and more! Our brief from the client was to deliver a fresh Website Design, ready for SEO campaign which would provide Irish Recycled Products with website that would rank well organically and generate leads and sales for the company.